Barely lived in Gold Fortified home in one of Fairhope&apos;s shiniest new subdivisions. Beautiful treed and fenced lot. Convenient location - close to school and downtown Fairhope. Many upgrades abound in this open concept home. It is the Truland Nashville Plan. Great living space upstairs with a full bath. Split bedroom plan on the first level. Stainless steel appliances including refrigerator. 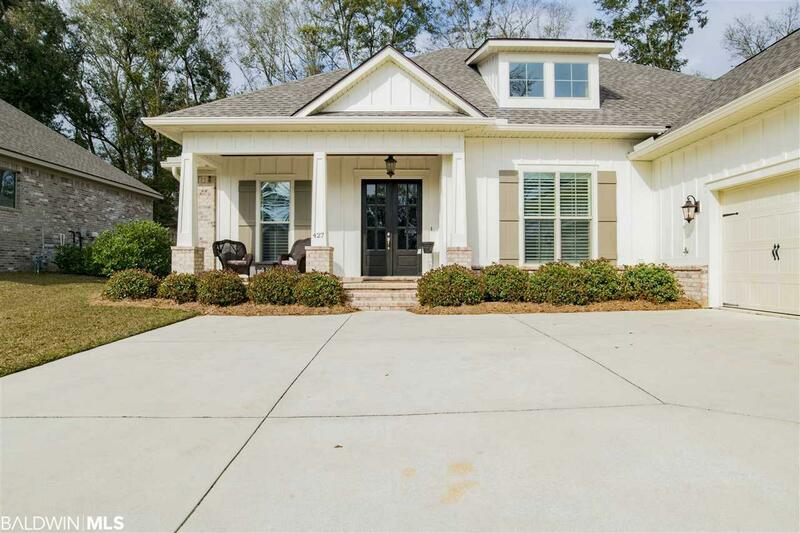 Home has gutters, fenced yard, custom cabinets, granite counters with stone backsplash. Wooden floors in foyer and one bedroom (currently being used as an office). Too many upgrades to list. Easy to show! Directions: From Fairhope Avenue, Go South On Hwy 98 Past High School, And Turn Right Onto Old Battles Road/Co. Rd. 34. Go West Approximately One Mile, Turn Right Onto Old Battles Road. Right Onto Craftsman.